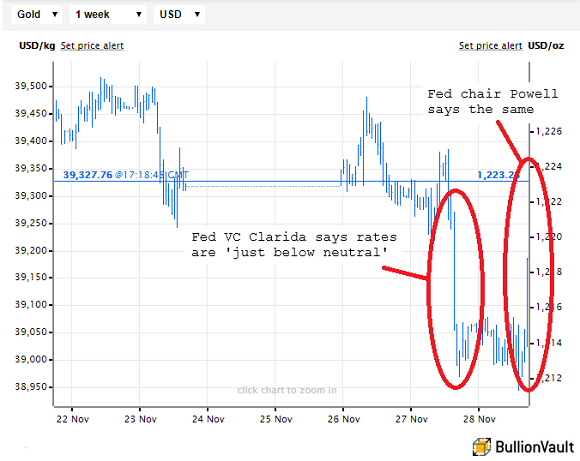 Which Matters More to Gold Prices, Fed Rates or the Stock Market? 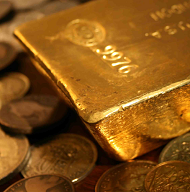 WHICH matters more to gold prices, the stock market or interest rates? asks Adrian Ash at BullionVault. As hard to destroy as create, gold has in the past offered a hide-out from long-term slides in the stock market – a hide-out you don't need if equities are soaring. Higher interest rates are meantime typically seen as a bad thing for gold too, because a lump of metal pays no interest and so cannot compete with cash-in-the-bank when rates rise. Hence the gloom about doom in 2018. The stock market hit a run of fresh all-time highs even as the US Fed pushed ahead with its baby-step hikes starting end-2015. Come autumn in fact, the rest of the world caught up. September marked the first month since at least 2007 when no central bank anywhere in the world cut its headline interest rate. October then saw major-economy equities join the slump in emerging markets. Now all the chatter is about the Fed maybe pausing its rate rises in 2019, if not as soon as December. The Fed itself is at least repeating the same line, but poor Mr.Market doesn't know what to think! The Fed's line, at least, matches with reality. Because here at end-2018, and with the CME's interest-rate market still expecting the Fed to raise to 2.50% in December, US interest rates are set to rise above the pace of US inflation for the first time since 2005. The last such hike came on the eve of the worst financial crash and crisis since the 1930s. You might wonder if the two events weren't linked. 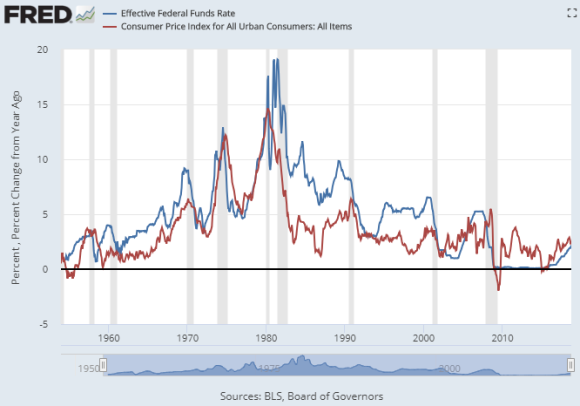 First, higher Fed rates don't guarantee a recession. But like Trump surely knows, they have preceded every US recession but one over the last 60 years. Second, and with the stock market slumping like it just did, it will take a brave Fed chair to actively push real interest rates above zero for the first time in 13 years, back before the global financial crisis. Tight is maybe the wrong word, but given what the crash in oil prices will do to this month's headline pace of inflation, Fed rates haven't been this high in real terms – very nearly above zero, or "just below neutral" to quote the Fed's No.2 Richard Clarida yesterday and now his boss, chairman Jerome Powell today – since the deflation scares of 2009 and early 2015. Add the balance-sheet reduction from quantitative tightening (ie, selling down the QE bond purchases) and Powell is very far from the 'low rates guy' Trump thought he'd hired. Now, if the Fed chair does stand his ground and vow to keep raising rates, gold might not like it. But nor will the stock market. And the bubble in government and junk-rated corporate bonds will simply hate it. So third...and while spreading your risk with a spread of investments really is vital...there are times when nothing works, and investors lose money in everything except cash. ...as the US Fed, then under Paul Volcker, hiked interest rates to double digits to try and kill inflation. It worked, but only by also killing asset prices along with commodities and economic growth. Here today in contrast – and even while French drivers are protesting about the cost of fuel ( thanks to fuel tax) – policy-makers cannot see any inflation on the official measures. Instead, they worry about a financial bubble...about too much debt...and about wanting to raise interest rates back to a more 'normal' level. As reasons go for risking a recession, that's all pretty weak compared to the runaway inflation of the late 1970s. In fact, it might take just that kind of runaway inflation before central banks really do get a mandate to raise rates anywhere near the 'normal' of the 1980s or '90s. Expect volatility meantime. The long-term direction of prices and assets only ever becomes clear in hindsight. Spreading your risk by spreading your investments really is your best hope. As for Fed rates versus gold prices, the data sort of support the consensus view. Over the last 35 years, the Fed has hiked rates in 79 weeks. 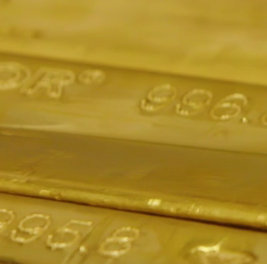 Gold prices fell more often than rose, dropping in 56% of those weeks. The Fed cut rates a little less often, reducing the cost of borrowing in 76 weeks. Gold rose more often than fell, gaining in 58% of those weeks. So far, so what? Yet another coin toss for gold price forecasters. Interest rates meant a little more for gold prices over longer time-frames. 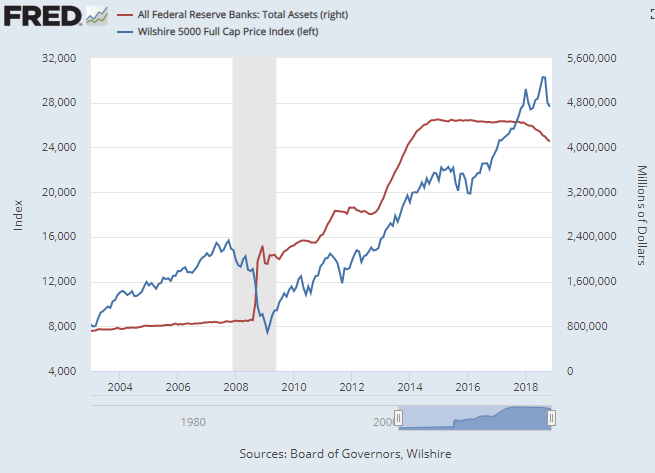 Because looking at all weeks since 1983, on a 5-year basis gold rose 54% of the time that the Fed Funds rate stood higher from a half-decade before, and it rose 61% of the time when the Fed Funds rate had fallen. 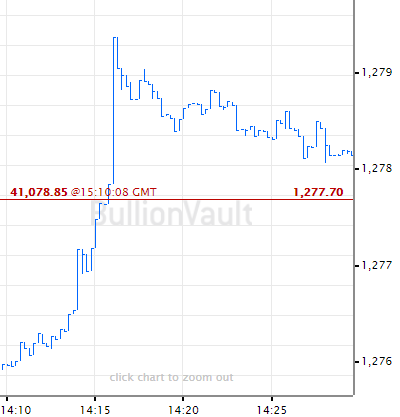 Gold prices still edged it, in other words, when the US Fed reduced the cost of borrowing. But stronger by far however than any comparison with interest rates was gold's half-decade action versus the stock market. Over the last half-century, gold fell 42% of the time when the S&P500 rose from 5 years before. Gold rose 98% of the time when the stock market dropped. So go ahead if you want to join the Kremlinologists trying to second-guess what the smoke coming out of the Eccles Building might mean. Buy, sell or stick – your call! Gold tends to do well when equities lose value over longer time frames. 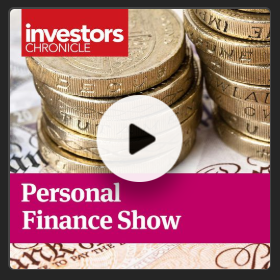 Which is exactly when you would want investment insurance to help out.